This led driver circuit explains how you can power up 0.5W to 5W LED strips directly from a 12V lead-acid battery without wasting much power or blowing up the LEDs. Here a sample 3 Watt led driver circuit diagram, total 12 LEDs. Here 3 LEDs are connected in series, so the total forward voltage should be about 3.4Vx3 = 10.2V, and 4 such LED string connected in parallel. 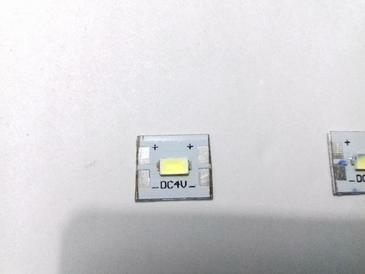 Each LED is of about 250mW, so total power should be around 3 watt and total current should be around 300mA. Total power of this LED driver depends on numbers of LEDs connected in parallel. Two 1N4007 diodes are used to induce a drop of about 1.4 volt, though it may vary according to the current, higher current means more voltage drop. My prototype, two 3 watt LED matrix 12 LEDs on each matrix, 24 total LEDs, approximately 6 watt. It gathered some dust and dirt as I left it outside for months without care. First of all, never ever try to remove LEDs connected in series, if you build such a driver with two LEDs in series and no current limiting resistor, and connect that to a 12V Lead-Acid battery, surely they’ll blow up ! A regularly cycled(deep cycle) 12V Lead-Acid battery is charged from approximately 12.5V to 14.4V, and dischrges from 12.5V to 11V, though these charastaristics are highly dependent on charging and disscharging current. So this led driver should’nt be run while charging the battery, but it’s fine to run without the charger. The LEDs Im using for this project are explicitly marked as DC 4V , but 4V DC is way too high for white LEDs, so I’ve ignored that markings. So, that’s all, feel free to leave comments below if you have any suggestion or question about this 1-5 watt LED driver . I need to power a Luxeon 3 Watt * 700mA with a 12V car battery. What would you suggest as simplest and reliable circuit? I’d recommend a cheap buck converter with current control pot,(constant current), like this one, http://amzn.to/2orowNI . 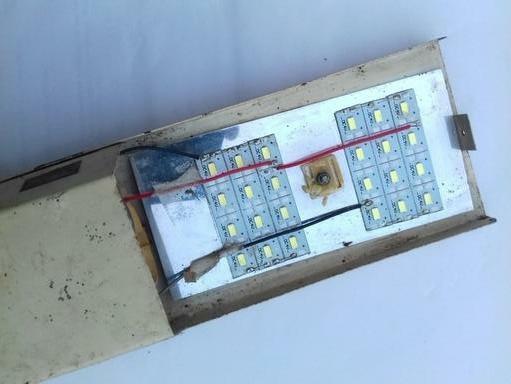 3 LED’s in series, set current to 700mA, and output voltage 10.5 v to 11V. However you can power up them with two 1N5811 diode in series with all the the LED in series, cheaper option. Though safety of the LEDs not guaranteed, as they’re drawing much current.